Choosing the right soccer ball is not that easy as it seems! Also, Price is not the sole factor while choosing the right ball. There are different variety of balls which are available in the market. This article throws light on what can be some of the factors while choosing the ball. 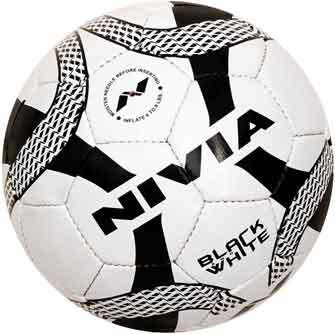 Poly Vinyl Carborate(PVC) and Polyurethane (PU) are common artificial materials used to make footballs. PU balls is softer and is used for Premium and other high end matches. PVC is cheaper than PU and it lasts longer and is used for indoor, futsal and street football. The Ultimate Guide to Best Nivia Football Shoes. Best football shoes in India under 1000,2000,3000,4000 & 5000 rupees. 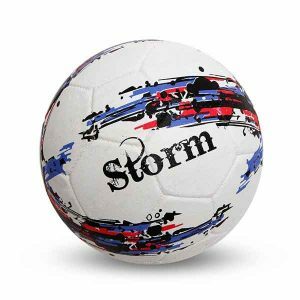 You might be surprised to know there are various types of Footballs, namely, Premium Match Balls, Training balls, Turf Balls, Indoor Balls, Futsal Balls, Beach/Street Balls. There are different size options in football. Young players use size three, Teenagers use size 4 and adults use size 5. It’s important to use these same size of balls while practising. This way you can get used to the ball. Bladder of the ball – While buying Football, keep in mind that the bladder of the football is also important as it gives them shape and the movement. Butyl bladders are used in cheaper balls and Latex bladders in the high end ones. Hence, choose accordingly. When it comes to quality, a ball that hand stitched ball tops in quality. There are many highly skilled workers sew with high precision. Cheap alternative to hand stitched football is machine made ones. Dont buy a glued football that are available at cheap price. (unless manufacturer is using high end technology – which will be very costly) . Also look for balls with a FIFA approved logo. There are many popular brands such as Nike, Puma, Adidas, Select, Vizari, Brine, Voit, Umbro, Nivia, Cosco etc. But it is not necessary to go for a branded one. 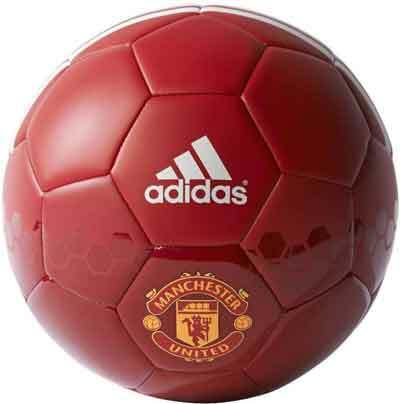 You can also find good Footballs at cheaper prices but you need to have an eagles eye to get the right one. 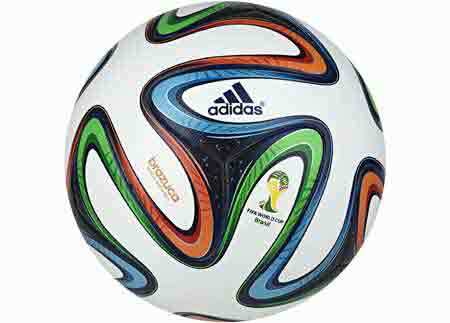 Following is the list of best selling footballs available online in India, that you can get with some discount and offers, from top online stores. Top 5 best footballs to buy from top brands in India & Offers! Please make sure that you are not buying replica of original, confirm with stores/sellers before buying. Brazuca is a famous brand from Adidas which was used in the world cup. It is a good material which is tried and tested on all kind of surfaces. This ball has got high abrasion resistance because of which it can perform well in tough surfaces. 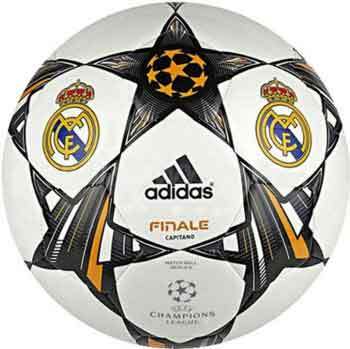 This ball was manufactured to honour Read Madrid’s 10th Championship title. It has got thermoplastic polyurethane because of which it is more durable. There is no need of refilling air in the ball as it is made of butyl bladder. 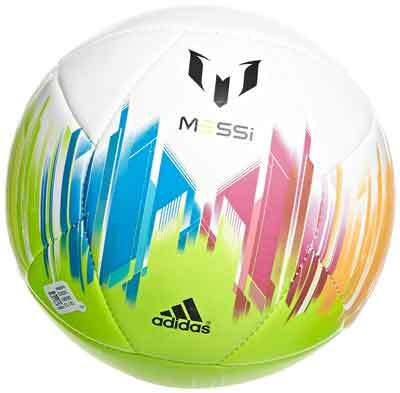 Adidas Messi is for Messi football fans. It is light in weight and has got excellent features. It is good for players who like to play attacking football. This ball is a hit among the football lovers. It has got a machine stitched body and has a very good design. 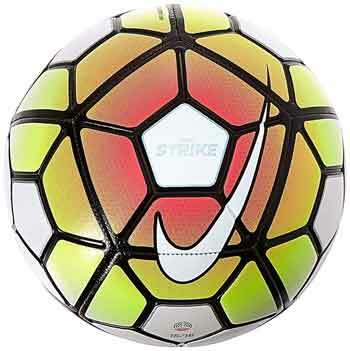 It is an official ball of the Barclay’s Premier league. 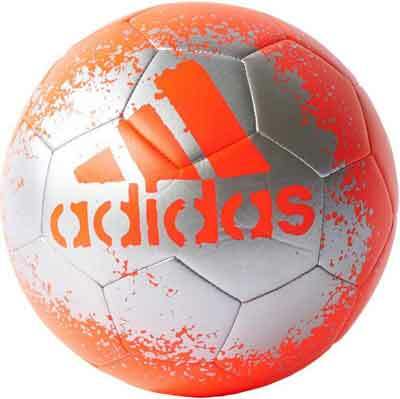 The ball is very attractive and is durable. 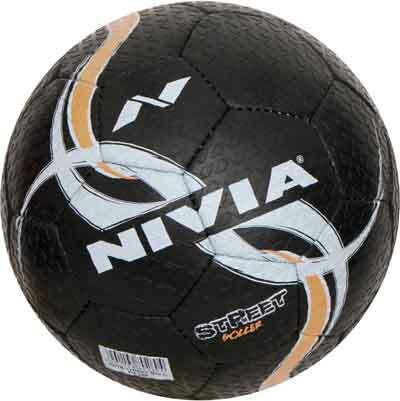 Nivia is a popular brand in India. The FB-278 brand is loved by football lovers because of air-locking feature which prevents leakage of air. It has got a latex bladder. It can withstand powerful shots because of the high abrasion resistance feature. You need to select a ball on the basis of your need. It is always good to take the opinion of an expert football player who can guide you while choosing the ball. Hope you chose the right one!